Any footage of Johnny Kidd and the Pirates? Yes, Johnny Kidd & The Pirates were truly great. I only discovered them in the eighties, their records were nevere released here in Brazil. Speaking of early british rock, I think no commented this. I have always heard about this Tornados Scopitone. In fact, I had read about it first on a liner note on some old compilation. But I thought it was some urban legend. But a vintage clip of “Telstar” really exists. Funny, they didn’t set up a drum kit for Clem Cattini! The guy who posted this is John Repsch, a Joe Meek expert. It has some sounds problems, but it can be fixed. Been meaning to post here about this. I've been looking for a few years, finding out about shows JK and The Pirates were on,phoning,writing,emailing various archives in UK,Ireland,USA,Australia,France,Germany,Belgium,Sweden etc. following up old leads and new. I'd pretty much given up hope of finding anything. 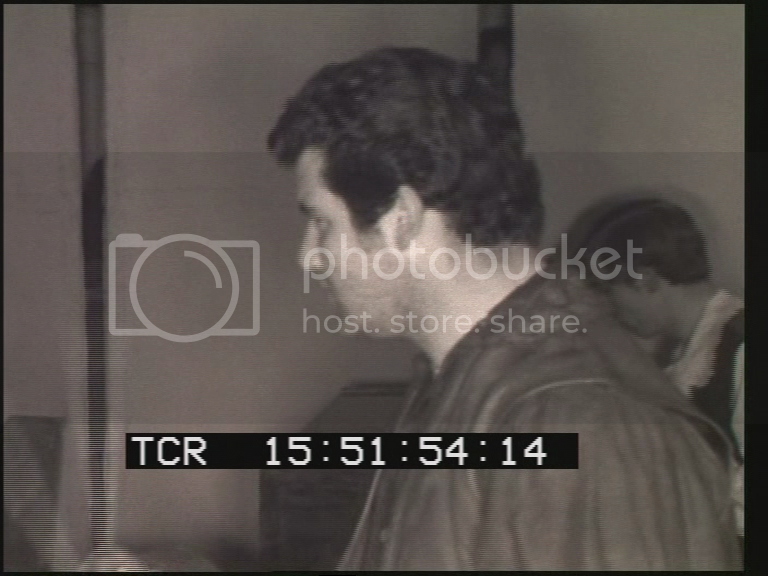 Some time in May i noticed the Doors were looking for raw footage of the Roundhouse shows and looked in the first place you would look (itn source). I was just leaving the site and thought i'd try Johnny Kidd and The Pirates for the umpteenth time and mute footage of a band Johnny Kidd and The Pirates came up. I figured if it was mute it couldn't be someone covering a kidd track or some unrelated footage with a pirates soundtrack so i rang up and asked for a copy,paid and a couple of days later i was watching Johnny Kidd on my computer. Funny thing is i'd already contacted Ulster TV about an earlier show Kidd performed on in 1962 and also asked if they had anything at all of JK. They were very helpful but said no. My conclusion is that this may have been fairly recently catalogued although i could have just missed it on previous visits. Anyway it's very short, 50 secs about 30 of which has JK and The Pirates. You can't tell what song they're playing but the picture quality is great. They look very cool ! I'm not looking any further for the time being but i hope in the future more may turn up. Given the nature of Kidd's appearances (live to air,wiped soon after etc) this seems unlikely but as this all goes to show,you never know. I wish one of his Wham appearances survived. It'd be great to see Johnny sing Shakin' All Over. If you go to the Johnny Kidd website there should be some screenshots on the discussion board. BTW I've been doing heaps of research over the last few years relating to uk pop/rock on tv/radio etc. I also located a tape of Peter Green's last concert with Fleetwood Mac in Bath 1970 which was quite a find. There's still a lot of stuff out there awaiting (re)discovery both audio and visual. You never know where you might find buried treasure. It could even be where you looked the first time ! Thanks for filling in the details Ashley and congratulations on locating the footage! Interesting it had never been noticed before and makes one wonder when Ulster TV located it for it to be added to ITN Source since as you point out, you'd approached Ulster TV before who said they had nothing. It certainly does get on wondering what else could possibly be out there since odd material keeps surfacing all the time in the unlikeliest places. 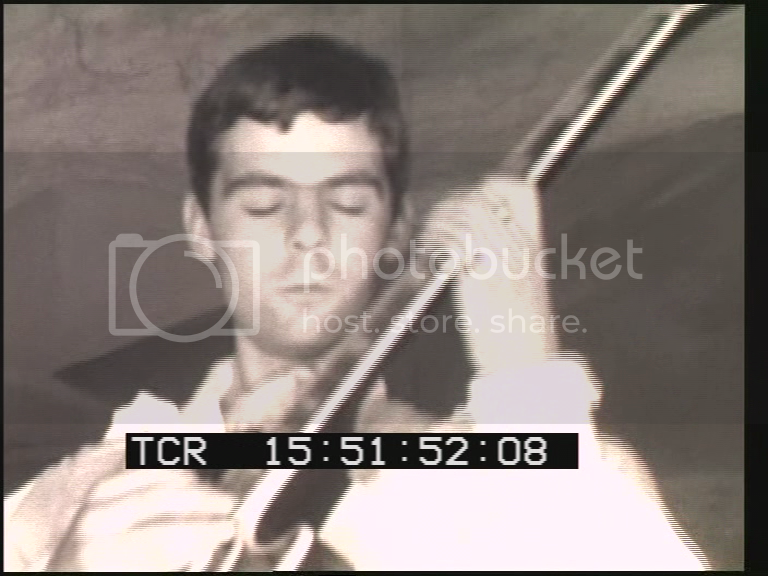 Johnny Kidd wise, an old pal of mine told me that Granada always used footage of him performing "I'll Never Get Over You" in news features and that they used it again when his death was reported so they or somebody had 1963 footage of him in 1966. Not that it's survival is likely, but, one never knows what might be lurking in darker corners in tins unopened for many years. I was just leaving the site and thought i'd try Johnny Kidd and The Pirates for the umpteenth time and mute footage of a band Johnny Kidd and The Pirates came up. I figured if it was mute it couldn't be someone covering a kidd track or some unrelated footage with a pirates soundtrack so i rang up and asked for a copy,paid and a couple of days later i was watching Johnny Kidd on my computer. Funny thing is i'd already contacted Ulster TV about an earlier show Kidd performed on in 1962 and also asked if they had anything at all of JK. They were very helpful but said no. My conclusion is that this may have been fairly recently catalogued although i could have just missed it on previous visits. Anyway it's very short, 50 secs about 30 of which has JK and The Pirates. You can't tell what song they're playing but the picture quality is great. They look very cool ! This is an amazing find ! Congratulations on discovering it. I always thought that the lack of any film of JK&TP meant that they had been unjustly overlooked. The following is just a theory but judging from the contents of the reel it's a series of inserts for local news - a feature on kids going back to school, a football match etc. I suspect the camera was sent to capture a small part of the concert and dance competition at the venue as a news insert. Some of the bits of film on the reel have sound,some don't as is the case with the Pirates footage. I'm pretty good on the lip-reading, chord playing etc. i can identify Beatle songs from photos/silent footage. The only real clue is Johnny appears to say Oh yeah and the performance has stops. Could be Shakin',Dr Feelgood or anything really. The guitar player (John Morehead?) is going twiddly all over the place which doesn't help. I think the organist does a bit in E (from memory) but again that doesn't narrow it down. Shakin All Over 65 would have been around this time. 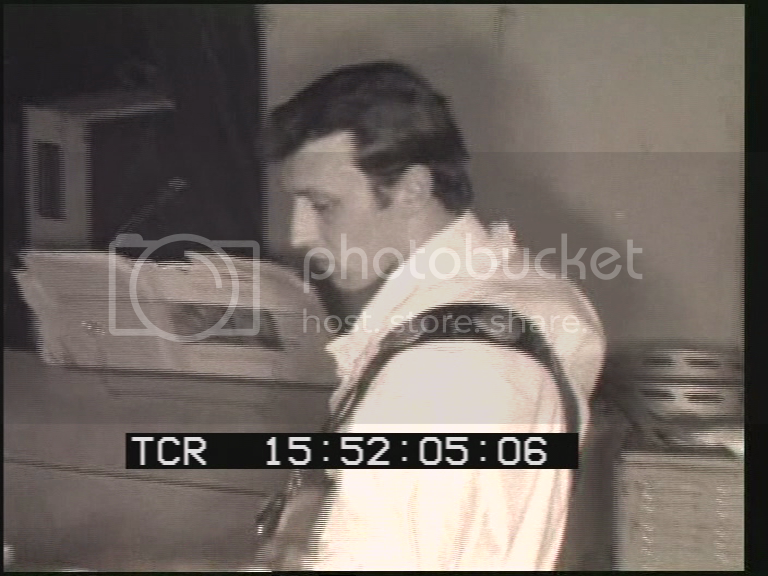 Going back to what Gary Prior said a couple of posts ago, i'm sure this footage will surface somewhere at some point as it is the only confirmed film of one of Britains best pre Beatle acts. Obviously i'd love to put it up here right now but ironically that'd be a gross act of piracy ! I'm very frustrated that clips such as See Emily Play etc. 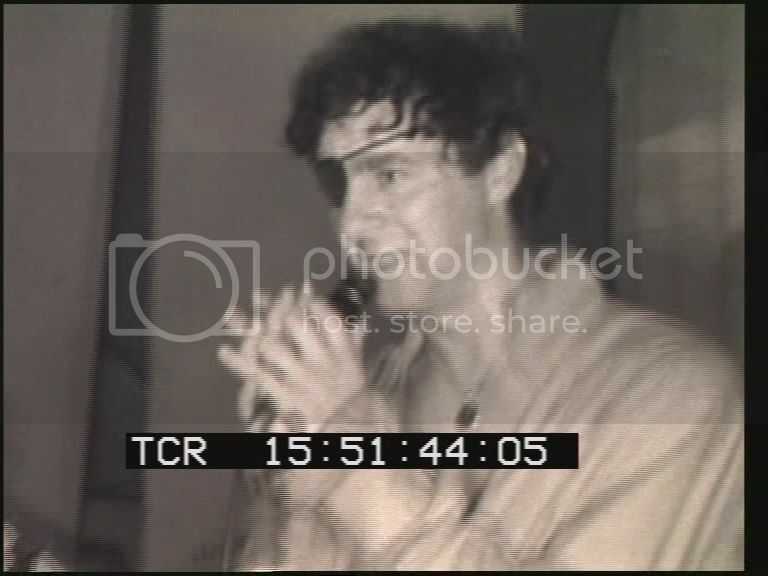 haven't been given proper release and in relation to Kidd/Pirates era i understand Bruce Welch was keen to put together a Shadows dvd but in the end the cost was prohibitive and there are frequently legal difficulties. It is a desperate shame that over 50 years later that stuff like that is consigned to a vault. I'm not sure what the solution is. Use it or lose it ? Pretty soon there will be little interest in some of these bands. The Shads/Johnny Kidd fanbase certainly appears to be an aging population so to speak which is a shame as the Shads from 1958-62 were brilliant and critical to the beat boom explosion of 1963. It's also very frustrating that BBC radio sessions are either simply kept in the bbc tape library or released with rubbish compression/eq/edits. Some of that Hollies Radio Fun cd is appalling - intros cut to eliminate Brian Bathtubes etc. Sorry, i'll stop there i feel a major rant approaching. I haven't spoken to itn source since getting the clip so i don't know if there might be more/sound etc. I'll probably do some more follow up and searching later in the year. I'm having to take a break from all this stuff at the moment. Thanks for the extra details and trying to determine what it was shot for and trying to determine what they might had been playing. Yes... it's all most frustrating that copyright issues keeps stuff like this locked in the vaults. Yes, Bruce Welch was horrified when he looked into using vintage Shadows footage for his short "Evening With Bruce Welch" live shows in the early 90's - he said then there was about 2 or 2 and a half hours of vintage footage he'd rounded up but to use just fragments from them would had cost an absolute fortune so he was unable to do anything with the footage. Like you sadly point out, the fanbase is getting older and smaller by the year. I know unfortunately you will continue to get fans badgering and hassling you to put the footage up on YouTube or share copies but to do so would put you in a lot of trouble which I perfectly understand but sadly not everyone does or can. these should be the right links for you. They appear to be working ok for now. I am really sorry i can't post the footage. As much as anything i'd like to carry on researching at some point in the future and if it leaks i'll probably have to walk the plank. I hope you all understand. At least we know there's something in the vaults and it shouldn't be as hard to release as getting crApple to release some decent archive product ! That's fine, Ashley. The pics are interesting in themselves and the actual footage is a great find! I was a member of both the Johnny Kidd Appreciation Society (run by Alan Wheeler) & the (then) reformed Pirates fan club. 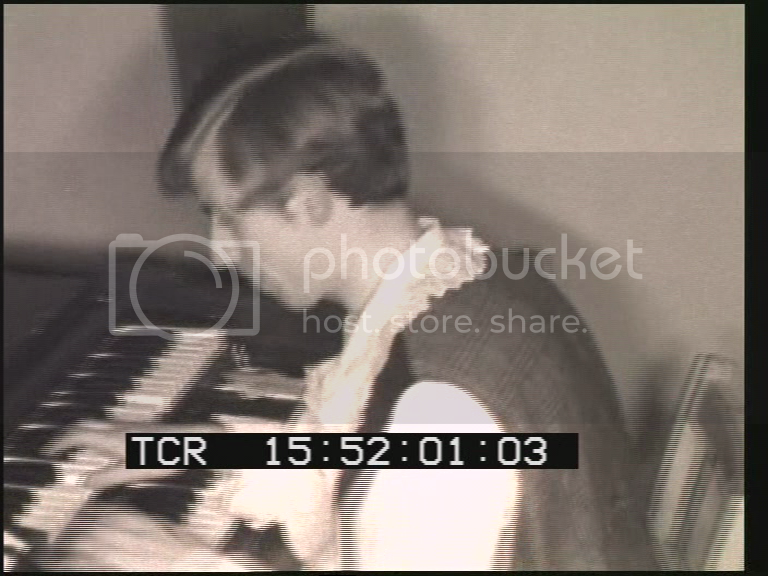 - while vintage mid sixties footage of Weider playing guitar in The New Animals in 1967 on German TV has been shown recently on Sky Arts 1 channel in the 'Beat Beat Beat' series, performing 'Roadrunner', 'C.C. Rider' etc, and a 'Beat Club' 1968 performance of 'Shake, Rattle & Roll' also survives (shown by VH-1 channel a few years ago) , it's noticeable how Wilko Johnson later copied John Weider's stance onstage...even his 'head nodding' ! Nick Simper later was later bassist in the 'mark one' Deep Purple (with vocalist Rod Evans & Blackmore, Paice & Lord) & appeared on their Parlophone singles & 'Shades of Deep Purple' debut album. Interesting stuff Patrick. Unfortunately no clip has been found of I'll Never Get Over You or anything else bar this recent find which is very sad. I'll dig up my list of Kidd tv shows some time but he played that one a lot. I still hope there is the possibility of film "knocking around" awaiting digitisation and archiving. John Weider left the band around September 1965 and was replaced by John Morshead (Morehead?) according to the Johnny Kidd website. Weider was a great guitar player too, his New Animals work is really something. - Johhny Kidd cut great versions of soul flavoured songs; 'The Birds & The Bees' and 'It's Got To Be You' with organ, brass, and female backup singers being featured....but many of his fans still preferred his basic raw guitar/bass/drums backing line up (template for The Who, Cream, Jimi Hendrix Experience, etc) doing the Rock & Roll and grittier R & B styled material. I have an acoustic guitar solo album by John Weider & a solo album by The late Mick Green too.